Birds are quite different from mammals, typically being smaller and lighter and able to fly - but why don't they have teeth? New research by scientists at the University of Bonn suggests a reason why birds do not have beaks - and it's not to do with their weight or with hunting worms. Previous research in this area concluded that birds - which are the living descendents of dinosaurs - lost their teeth as part of the evolutionary advantage of improved flight.But according to new research, birds gave up their teeth so they would hatch out of their eggs faster - challenging established scientific assumptions about how and why they evolved.The embryos of lizards and birds develop at crucially different speeds because of the need for the embryo to develop teeth - a process which can take up to 60% of incubation time, according to Tzu-Ruei Yang and Dr Martin Sander.While still in the egg, the embryo is extremely vulnerable to predators and natural disasters which reduce its chance to being able to pass on its genes.Faster hatching boosts its survival and evolutionary odds, according to Mr Yang and Dr Sander who published their work in the journal, Biology Letters. 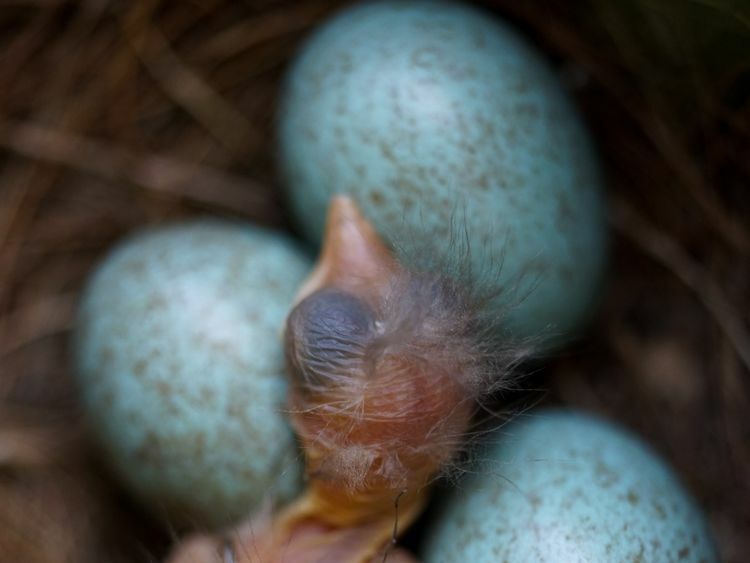 "We suggest that (evolutionary) selection for tooth loss (in birds) was a side effect of selection for fast embryo growth and thus shorter incubation," wrote the pair. However, this does not explain why some dinosaurs - including carnivorous ones - which are not related to birds independently evolved similar toothless beaks to birds.Mr Yang and Dr Sander pointed to a study last year which helped reach a conclusion on the matter.It found that the eggs of the non-flying dinosaurs took much longer to hatch than the eggs belonging to the ancestors of birds - taking up to six months.By analysing growth lines - similar to the rings of trees - in the fossilised teeth of two dinosaur embryos, Mr Yang and Dr Sander established this was because of slow dental formation. Beaks allowed much faster incubation for early birds and some dinosaurs, which allowed the animals to brood their nests in open rather than bury them as some reptiles still do.However, the pair acknowledged that this hypothesis was not consistent with toothlessness in turtles, which still have a long incubation period.